This is not just some phrase thrown together because we thought it sounded good. Tasty Minstrel Games is dedicated to bringing great games to you, the gamer. Whether we find them from some other part of the world, or we design them ourselves, we take great pride in bringing excellent production values and gameplay to your table. This site is a work in progress and will be updated regularly, as we pledge to never rest on our laurels. TMG premiered two new games at GenCon, with retail release coming shortly after. 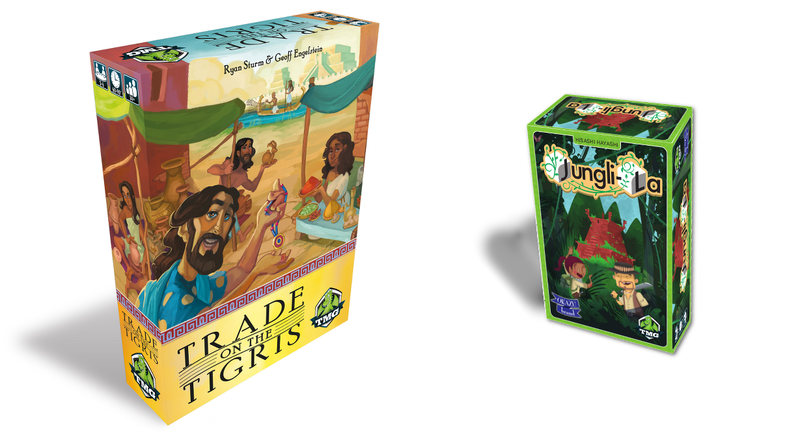 Trade on the Tigris - A game of negotiation and the drift of ideologies between civilizations, Designed by Geoff Engelstein and Ryan Sturm. Build up your city-state in the cradle of civilization by fostering trade - but be aware that with trade comes change. Trade on the Tigris is for 3-6 players, and plays in about an hour. Jungli-La - From Hisashi Hayashi (designer of Yokohama and Okey Dokey) comes Jungli-La! Your explorer must roll (and re-roll) custom dice to collect resources, recruit help, and move along the path to the hidden temple, where treasure awaits. The dice will also provide you the opportunity to write letters home for aid and clues, allowing you more control over your rolls and what cards you can acquire. 2-5 players, 45 minutes. 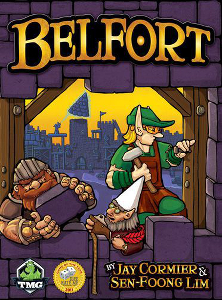 Belfort 10th anniversary edition - We got your Belfort, we got your Expansion expansion, we got some upgraded bits and maybe a little extra game content, what more could you ask for? 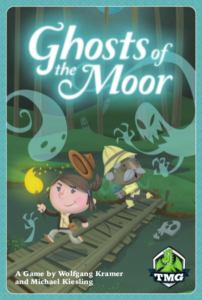 Ghosts of the Moor - A new title from the acclaimed duo of Kramer and Kiesling! Simple play, but good tactical positioning goes a long way in this small-box title!